10 minutes walk from Nakameguro or Yutenji station (Tokyu Toyoko Line). Pond Gallery is not a contemporary art gallery but a contemporary pottery store. 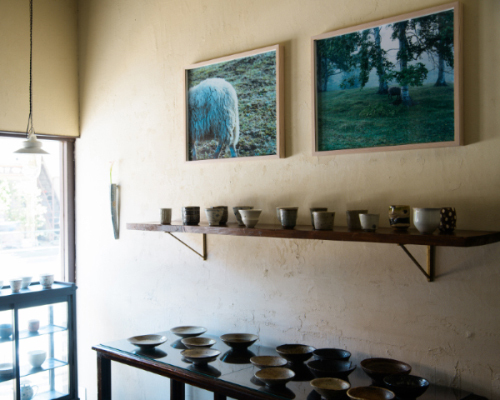 They sell Hayata's work 'Golden Sheep' with their permanent exhibition of pottery. 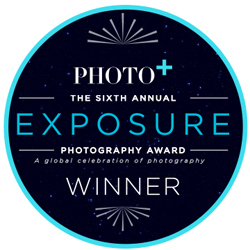 Hayata's latest work 'GOLDEN SHEEP' is selected to PDN "EXPOSURE AWARD 2016". 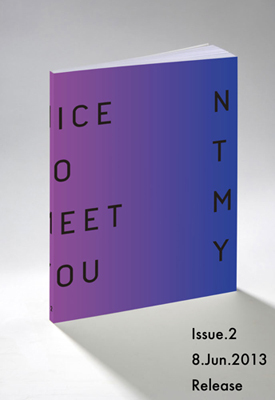 HAYATA is presented in 'Nice To Meet You Issue.2' that will be published at 8 June. by EINSTEIN STUDIO. Talk event video of the latest exhibtion 'Daisuke HAYATA 2006-2013' (English subtitled) that was held at FARO Creative Space (Toyko, JAPAN) is uploaded to YouTube. 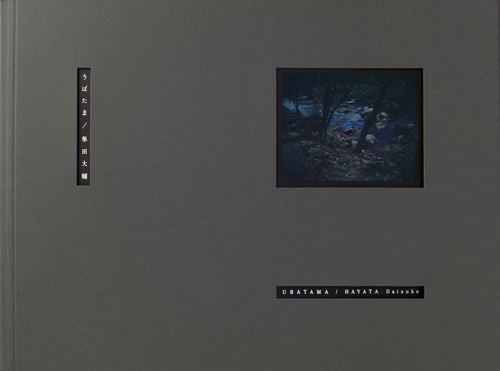 Hayata gives commentary on his works "ISANATORI" and "UBATAMA". Masaki YAMAZAKI, graphic designer of the book "UBATAMA" published in Dec 2012, speaks about the process to produce the photo book "UBATAMA". 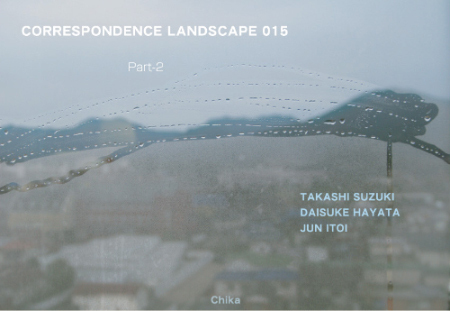 HAYATA exhibits his past works "ISANATORI", "UBATAMA" and a part of his latest works. This exhibition gives an overview of his works that were started since 2006 to the present. After the event, a party will be held until 22h30. Those who want to join, please send e-mail to us from Contact page. The maximum number of geusts will be 50 because of the limited space. 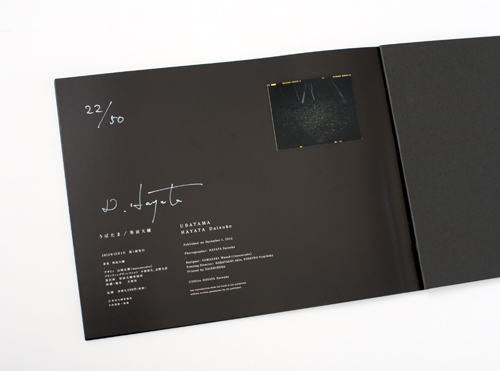 HAYATA published a photo-book "UBATAMA" on Dec.1 2012. * Edition 50 Limited, 6cmx7cm Original Print attached, signed by Artist. Open：12:00−20:00 / Closed on Mon. OPEN 10:00 - 18:00 （Thu, Fri -20:00）Closed on Mon. 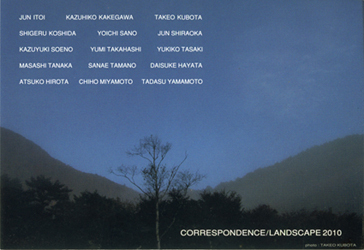 HAYATA's first serie of work "ISANATORI" was presented in 2009 in Yokohama. 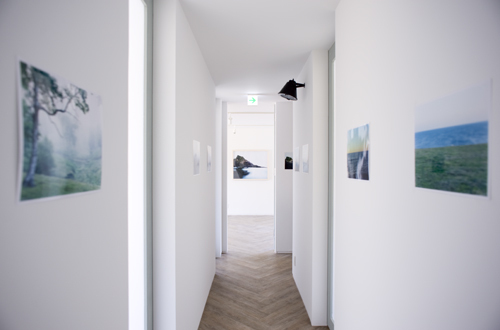 We present 2 photos in 100cm from this serie at GAKEI GIMLET SAAS (Kyoto). First Friday: Every first Friday open until 9 p.m.
Another day & time: Appointment. Closing party: 5 p.m.- December 1. 12:00 - 19:00 (last day and national holiday - 18:00) Closed on Mon. Tue. 12:00 - 19:00 (last day - 18:00) Closed on Mon. Tue. The prize winner exhibition of ALLOTMENT TRAVEL AWARD 2010 begins on April 24, 2011. It is held at the same time with exhibition "GRANADA" of Naoko YOGO who made an opportunity for beginning of this ALLOTMENT travel Award. 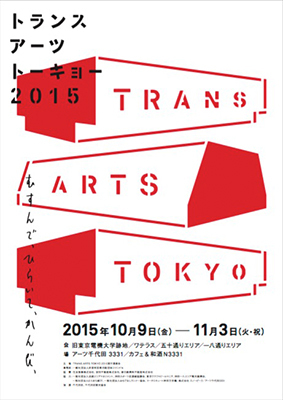 Entrance fee 2,500 yen. We will serve Spanish cooking. 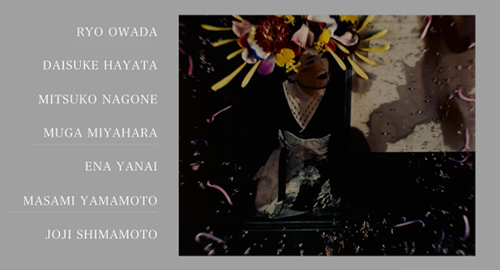 *Charlotte Bonham-Carter (curator and critic) wrote a review for Hayata's photographs. The adjudication from the Allotment Travel Award I received in March last year has been posted to the internet. The competition judges, Chiharu Nishimura (art and film critic) and Masakatsu Kondo (artist), have detailed the process leading up to the grand prize and featured the portfolios of the nine people who made it through to the final stage. 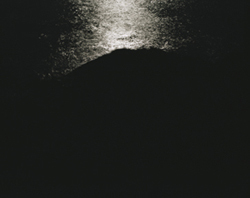 “Daisuke Hayata’s photographic works are produced by shooting in night environments where there is no artificial light, so his only source of illumination is the moon. 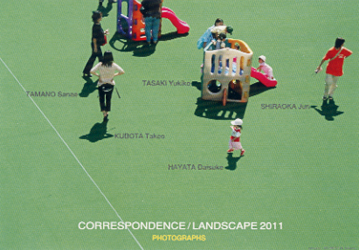 "The visual perspectives of 15 photographers"
12:00 - 19:00 (last day - 18:00) Closed on Sun. Mon. 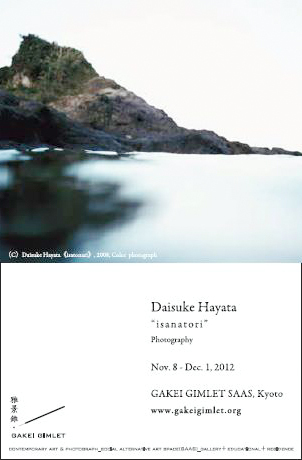 During The Month of Photography, Tokyo 2010 Gallery MUSÉE F will be hosting the latest exhibition from Daisuke Hayata. 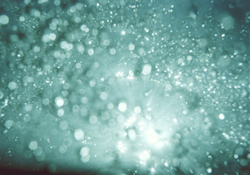 Since his last exhibition ‘UBATAMA’, a production themed around darkness which was shown at Gallery KOBO CHIKA in June 2009, Hayata’s works have also featured at Art Osaka 2009 and Slick 2009 in Paris. 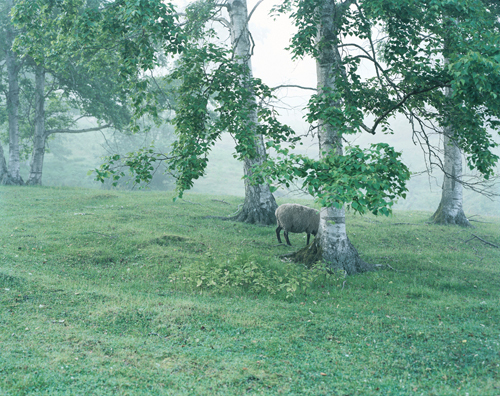 In February 2010 he was awarded the Allotment Travel Award for up and coming artists. This next exhibition will feature around 8 of his new works. 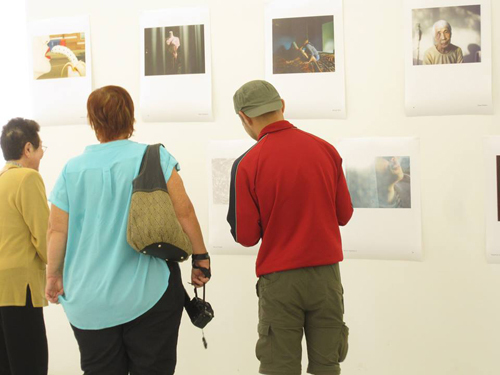 This is a group exhibition of the 15 photographers who did exihitions at Galley KOBO CHIKA since these 15 years. 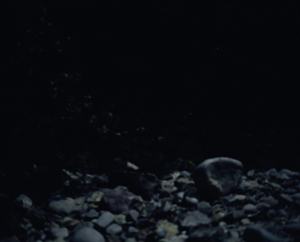 I will participate in 'SLICK 09' at 104 in Paris, France from GALLERY KOBO CHIKA. 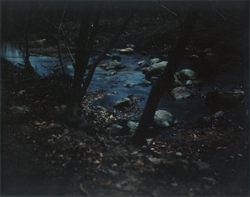 I will participate in 'ART OSAKA 2009', Japan from GALLERY KOBO CHIKA. Fair Hours : 12pm. - 7pm.